William (Billy) D. Appleton was one of nine children. Research indicates that William D. Appleton was on board the whaling vessel “Martha Wrightington” of Nantucket that sailed from New Bedford on July 2, 1866. 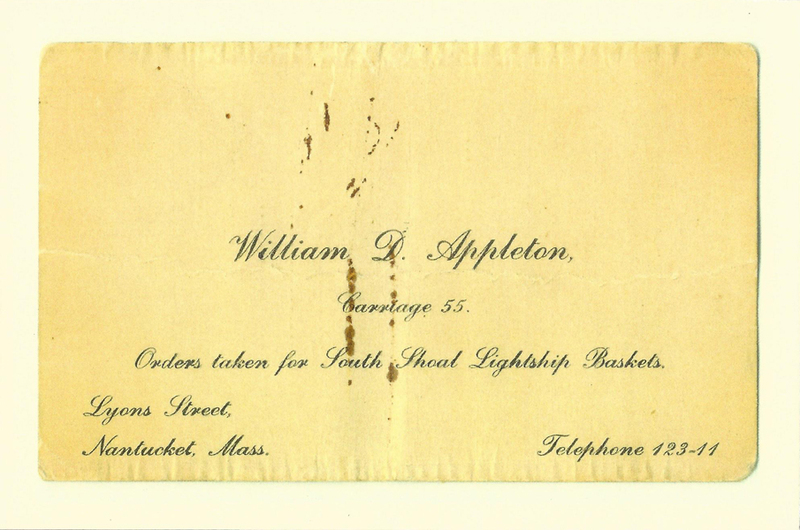 Upon retiring, as was the case of many whalers, Appleton became a lightship crewman who wove baskets aboard the No. 1 New South Shoal lightship. 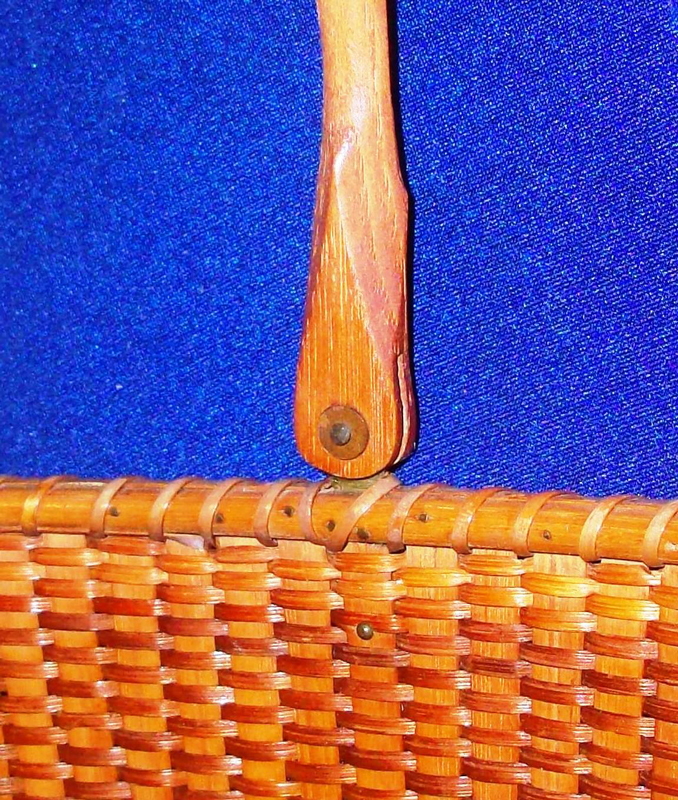 It is believed that the baskets that were made aboard the No. 1 New South Shoal lightship are among the highest quality of antique baskets. William D. Appleton married Mary E. Mendel, in the winter of 1881. There is no record of children from that marriage. In the late 1800s and into the early 20th century, William D. Appleton was listed as a “liveryman,” which was the earlier version of taxi cab driver. William D. Appleton’s business card was double sided. One side listed the cost of a ride to Sconset as well as other destinations around the Island. The flip side advertised that he was a lightship basket weaver with a workshop on Lower Orange Street. William D. Appleton continued to weave until around 1910 on land after his duty on board the No. 1 New South Shoal lightship ended. 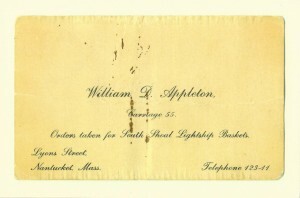 William D. Appleton was influenced by Davis Hall, a fellow lightship crewman, who was known for creating the first oval form of lightship baskets. William D. Appleton shared his knowledge with A.D. Williams, who then taught Ferdinand Sylvaro. Ferdinand Sylvaro is also featured in this exhibit. 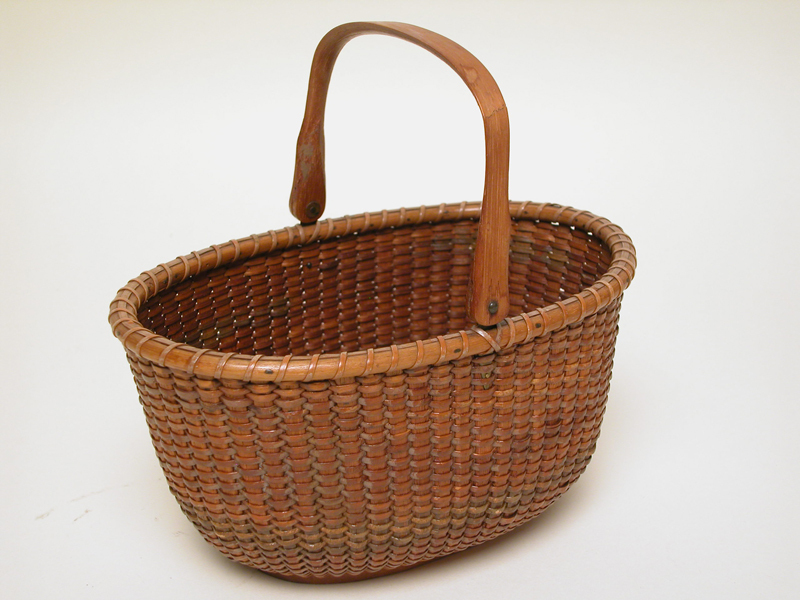 It is important to note the distinguishing marks of a William D. Appleton basket. 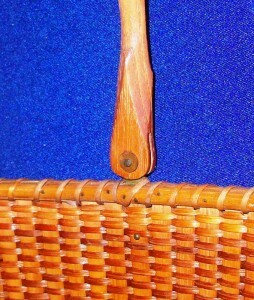 The inner part of the carved handle, where it meets the rim, is carved into a stylized point. On the reverse side in the same spot, there is a slight chamfered edge. Collectors will look for these signature details, if the label has come off in the process of time.